Home / Blog & Recipes / Promotions / Competition: Join the World's Largest Rum Tasting with Appleton! Competition: Join the World's Largest Rum Tasting with Appleton! 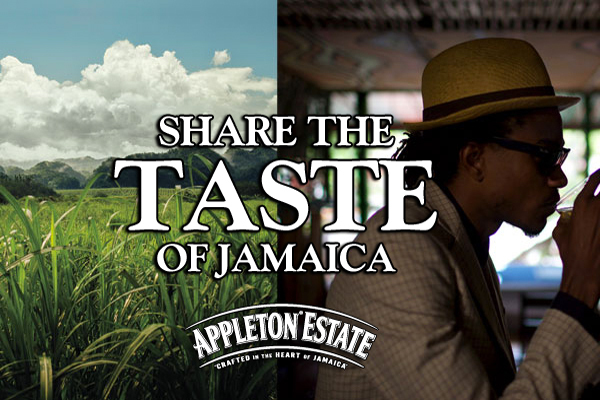 After previously setting the record for the world's largest ever twitter tasting, Appleton Estate Jamaican Rum is offering over 400 lucky rum enthusiasts the chance to yet again take part in the ultimate ‘alternative night in', as they present the #AppletonLive Tasting. And guest what... we've got a tasting kit to giveaway, comprising of the entire Appleton Rum range, including the ultra rare 21 Year Old! The live Twitter tasting will take place between 7:30pm – 8:15pm on 14 October, in which lucky participants will be guided with a tasting of the full range, before finishing with a pre-made Appleton Estate Mai Tai cocktail. Win Dinner at Cuisson Pop Down!